Lobster Risotto with Saffron and Truffle Oil. Before getting to any actual recipe today, I have to point out that what I call a Risotto is a type of rice dish I learned from my father and differs in a few significant ways from the strictly traditional. Essentially, a ‘true’ risotto is based on short grain (typically Arborio) rice that is first sautéed and then is cooked with stock added a little at a time until a creamy, although not quite soupy, consistency is reached. Indeed, rather than being cooked ‘al dente’ a proper risotto is said to be ‘al’onda’, or ‘to the wave’ meaning that, when the pot is tipped, or struck on the side, the surface of the rice should ripple. 1/3 cup grated Parmesan cheese, plus extra for sprinkling. 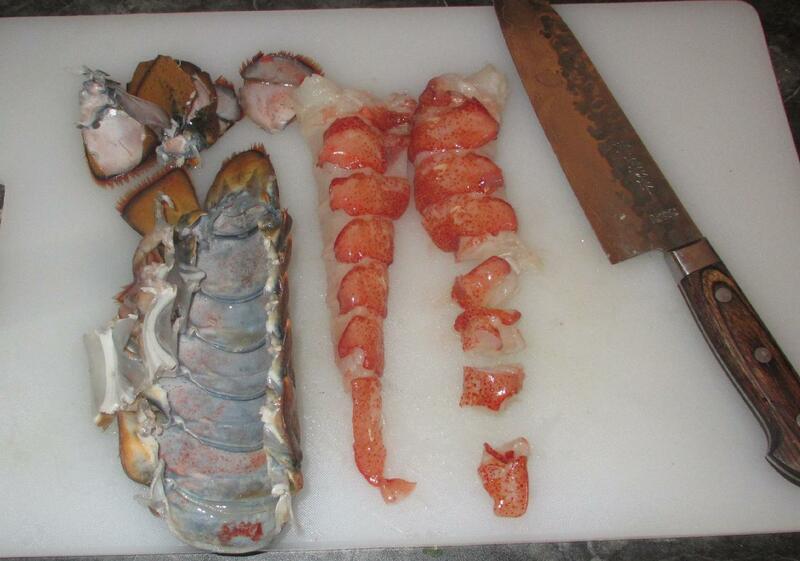 For the stock, I am using a home-made Lobster Shell Stock , but any shellfish stock, or even chicken stock will work too. As for the inclusion of cheese in this dish, purists will probably shake their heads and insist that, in traditional Italian cuisine, cheese is never served with fish or shellfish pasta or rice dishes. These are the same people who omit the ‘h’ when pronouncing ‘herbs’. Ignore them. The tail I have for this dish weighed about ¾ of a pound and is suitable for a meal intended as a main course for two. After you shell your tail, saving the shell for a future batch of stock, of course, de-vein, if necessary, and then cut the flesh into chunks. Do not make the pieces too small; rather, keep most of them about the size of a quail egg so there is still a bit of ‘bite’ to them. Next, mix together the wine and stock, then add the saffron. 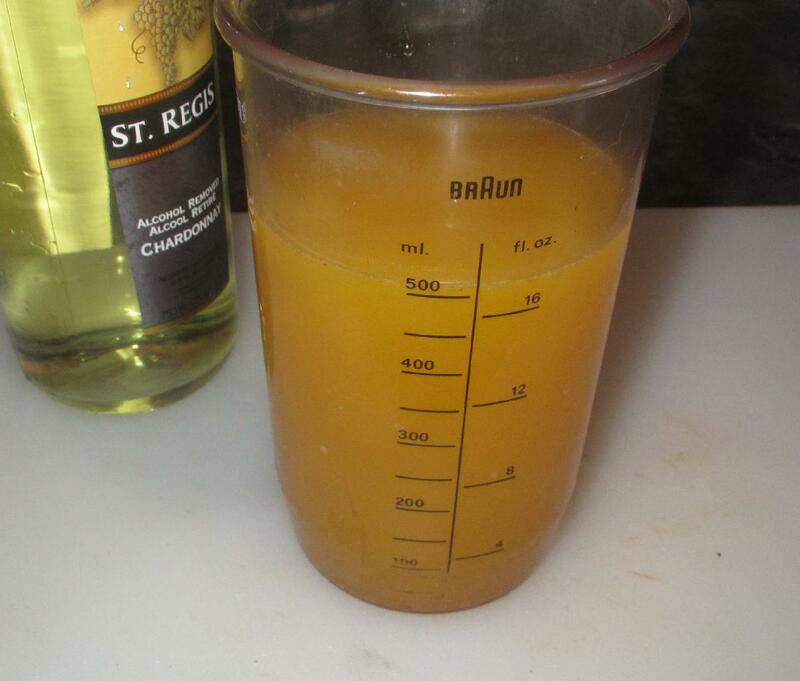 Allow this to sit so that the saffron color infuses the liquid. When you are ready to start cooking, melt the butter in a saucepan over moderate heat and then sauté the onion until it is opaque. 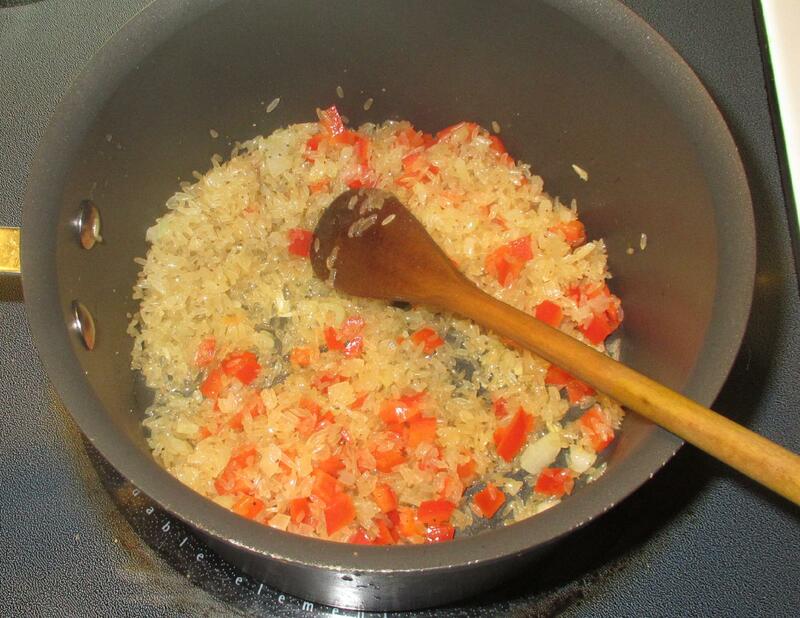 Add the rice, salt and celery seed and continue stirring until the rice grains are coated with butter and are starting to take on a little color. Stir in the bell pepper. Add the stock and wine mixture and, when the liquid starts to boil, turn down the heat to low, cover the pot and allow to steam for 20 minutes. When the liquid is all absorbed, add the lobster and the peas and allow to cook until the lobster meat is opaque and the peas are heated through. Stir in the truffle oil, the cheese and the parsley and stir a minute or so longer. 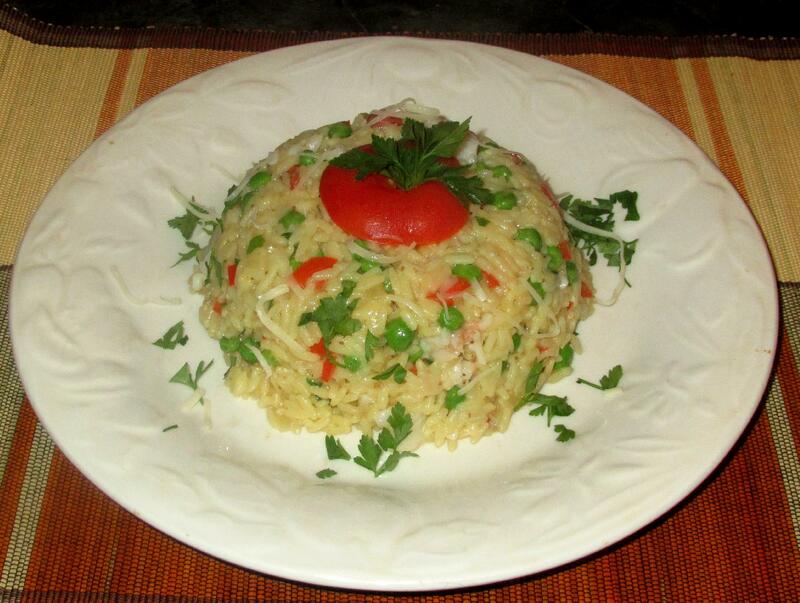 For plating, make an attractive mound of risotto on each plate. Garnish with parsley and extra cheese (or however else you like) and serve while hot. This was really delicious except for a few quirks … More salt was needed for my taste and the wife (although she usually does) added a little hot sauce to her plate. Other than that, this was one of those meals where you could easily eat more…. two of my all time favorite foods in a risotto? Where do I sign up? Wow! This really looks delicious. I can just taste it!